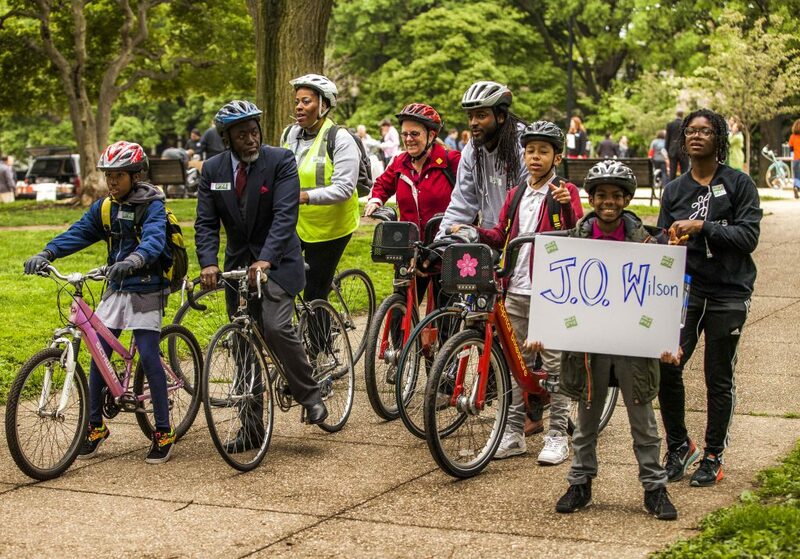 Bike to School Day 2019 is Almost Here! Spring is upon us, and that means National Bike to School Day is just around the corner. Register now for the May 8 event. Thank you to all those who have registered for the 8th annual celebration. Hundreds of schools have signed up to participate. All communities are invited to join the movement that connects and inspires communities to foster safer and more friendly routes for biking and walking to school. Also check out key messages, event ideas and how to plan. Follow Walk and Bike to School Day on Facebook and Twitter and be sure to share/re-tweet our messages! Thousands of schools and communities around the country register their Walk to School Day events each year. Check out Who Walked 2018 to see which schools registered in your community. Walk and Bike to School Day events can be simple or elaborate. A school might start by hosting a big event, and then hold low key events over time. Another place might start simple and then build efforts in subsequent years. Read on to learn more about planning the event. Walk and bike events come in all sizes. Make the event something that will resonate with what families, the school and broader community care about. Browse these ideas to help you plan your event. Use these downloadable materials to help with promoting your event, decorating the school, or getting the students involved in and excited about the celebration. Thousands of schools and communities around the country register their events. See who has registered near you.